Italian Double Action Out the Front Automatic Knife by AKC Knives this F-16 comes with a OD Green handle and a black grip inlay. You are purchasing a DAGGER blade...a bayonet blade is pictured. New picture to come. 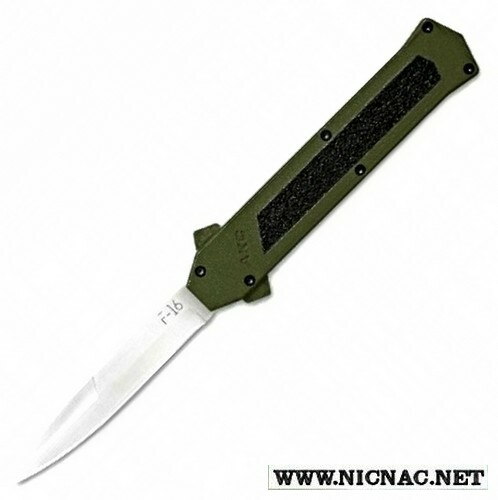 Great for every day carry at an overall open length of 8 inches with a 3.375 inch bayonet blade. Made in Italy.